At this 5-star hotel, you can avail top-notch amenities like a gym, pool, spa and an executive lounge. The rooms are systematic and efficient while the concierge and staff are highly experienced and will help you with all your queries. The prominent location close to Terminal 21 shopping mall, MRT line and the BTS line is yet another highlight of this hotel. 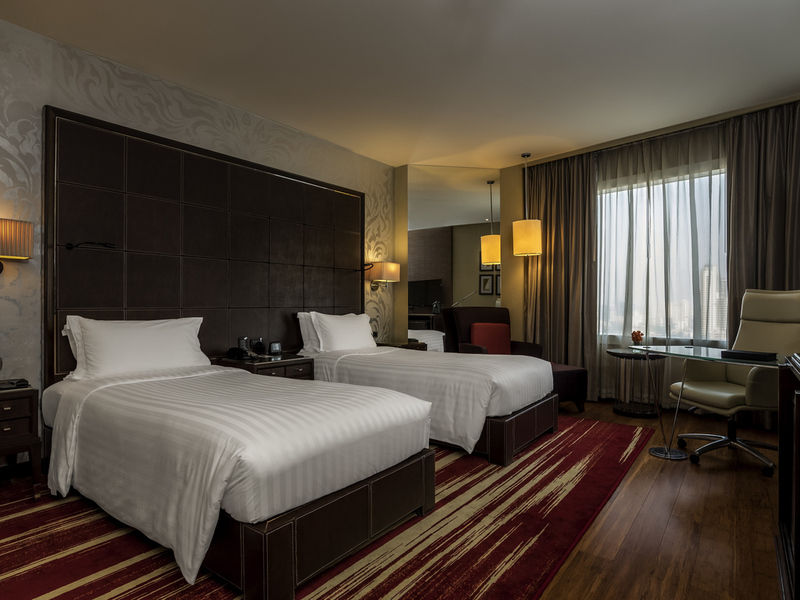 Pullman Bangkok Grande Sukhumvit is a luxurious 5-star hotel in Bangkok which has a lot to offer. Located in the heart of Bangkok's Sukhumvit road, the hotel offers a luxurious stay for business and leisure travelers or couples/honeymooners looking to get away from their busy city life. It features an outdoor pool, sauna and massage center for its guests. The hotel is renowned for its modern amenities and clean design. The staff is friendly and speaks English and Japanese. There are multiple on-site restaurants and bars catering to all taste pallets. It takes care of its guests by maintaining a high standard of comfort as well as safety. There are surveillance cameras, smoke alarms, visual alarms, and 24-hour security. It can make arrangements for various events. The hotels close proximity to tourist attractions like Jim Thompson House, Dinosaur Planet and Erawan Shrine make it a compelling option when it comes to hotels in Bangkok. The hotel has 325 spacious rooms with a lot of options to choose from. All the rooms are equipped with air conditioning, free wifi, separated shower and bathtub, work desk and views of the city. Guests can make use of the 24-hour room service. The rooms also have TVs, mini-bar, baby bed, radio, tea and coffee maker and manual temperature control. Hairdryer, bathrobe, and all toiletries are provided as well. There are sprinklers, smoke alarms, security peepholes and emergency info in rooms as well. 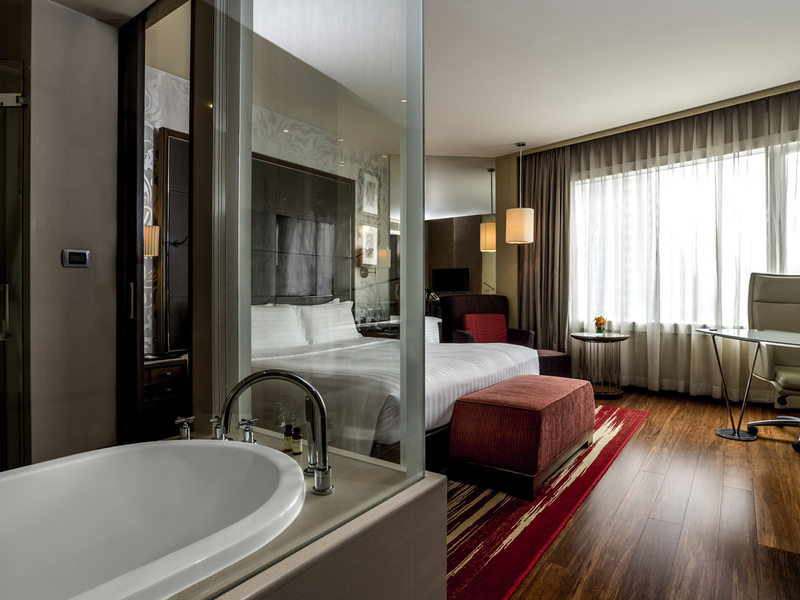 Pullman Bangkok Grande Sukhumvit proudly boasts of a fitness center, pool, spa, and sauna room. It also features restaurants and bars within the hotel premises. The hotel maintains a free parking area, travel desk, foreign exchange counters and 24-hour front desk for all kinds of queries. All the hotel rooms are equipped with state-of-the-art amenities and complimentary Wi-Fi. It also offers an airport shuttle, dry cleaning, laundry, and ironing services at an additional charge. Other facilities and services include ticket service, luggage storage, lockers, and a dedicated smoking area. Guests can also ask for babysitting service. 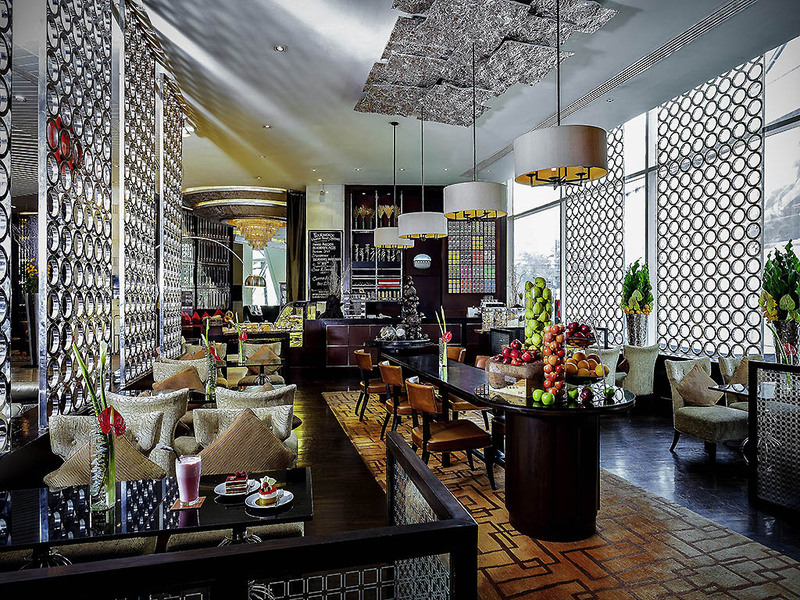 Pullman Bangkok Grande Sukhumvit features three restaurants and one bar serving a wide variety of cuisines. 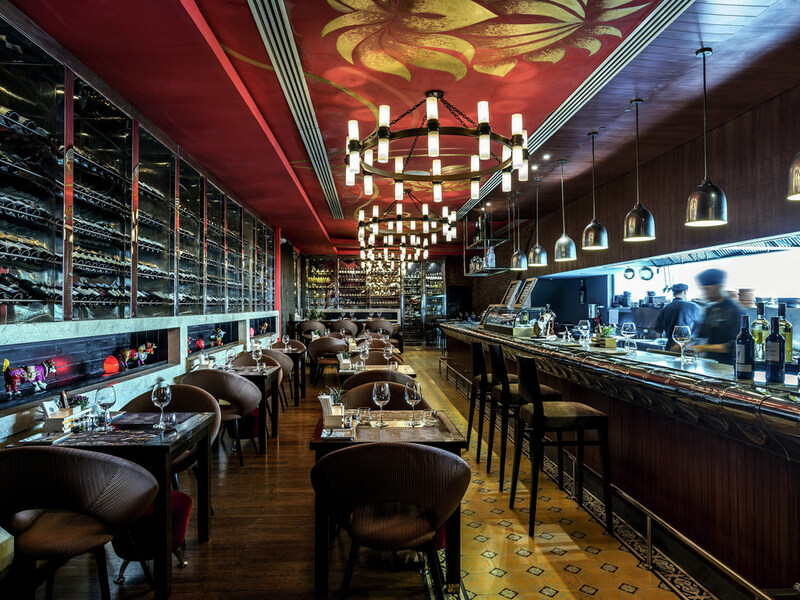 Atelier is an all-day dining restaurant that serves regional dishes as well as international cuisines. Tapas Vino serves crafted cheeses and charcuterie, tapas, seafood as well as steaks. It also has a collection of wines. Flourworx is a caf-deli serving sandwich, soups, iced tea, coffee, smoothies, and other delicacies. Inblu Lounge is a great place to relax with some drinks. Guests can have small gatherings with indoor and outdoor seating options. Every Friday night, the management brings a live band. 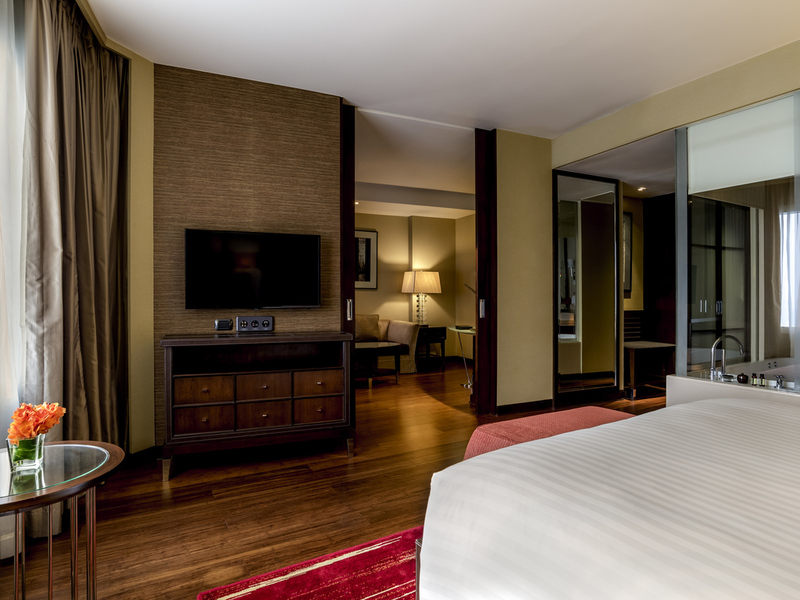 Guests are sure to have an amazing time at Pullman Bangkok Grande Sukhumvit. With a host of facilities and services, clean and elegant ambiance and several on-site restaurants, the hotel never fails to charm its guests. The pool, spa, and sauna will provide the ultimate relaxation after a long day of exploring the city. 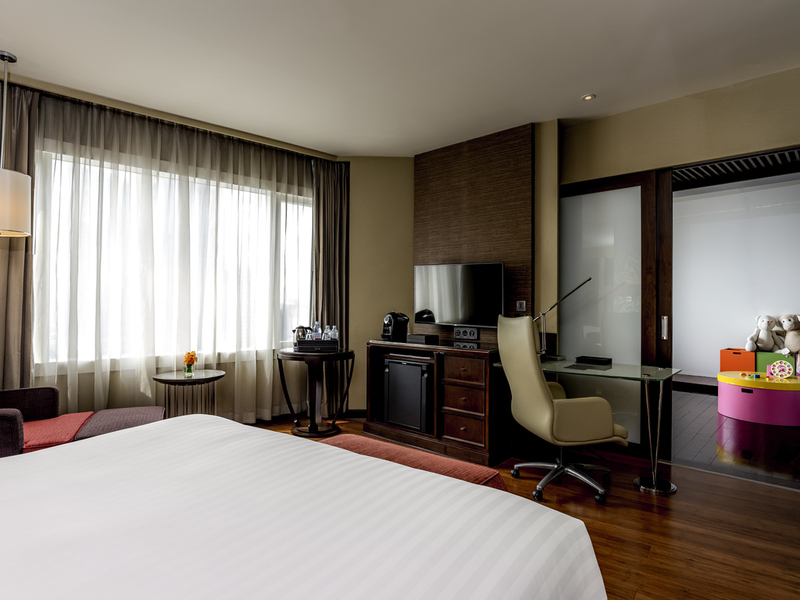 Pullman Bangkok Grande Sukhumvit is about 24 km from Don Mueang International Airport. The hotel offers several recreational activities for the guests like massages, spa treatments, sauna, swimming pool, tennis and mini golf. There are several tourist attractions nearby like National Museum, Jim Thompson House, Dinosaur Planet and Grand Palace. Yes, the hotel provides babysitting services. Indian Chef are the popular Indian restaurants near Pullman Bangkok Grande Sukhumvit. With a host of facilities, services, and warm hospitality, the hotel is certainly among one of the best in Bangkok. 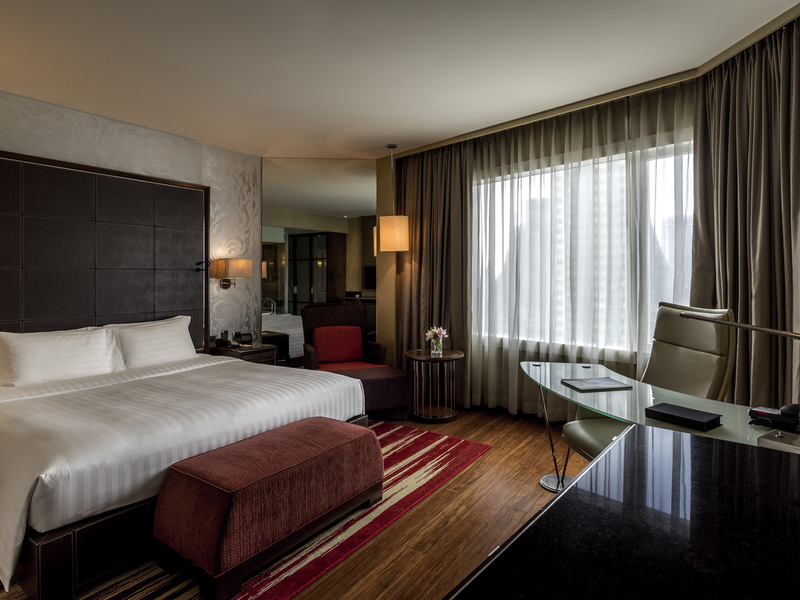 Guests staying at Pullman Bangkok Grande Sukhumvit are sure to have a memorable experience. They can roam around the city, explore the culture, shop to their hearts content and then come back to the comfort of their rooms, take a dip in the pool or get a massage. 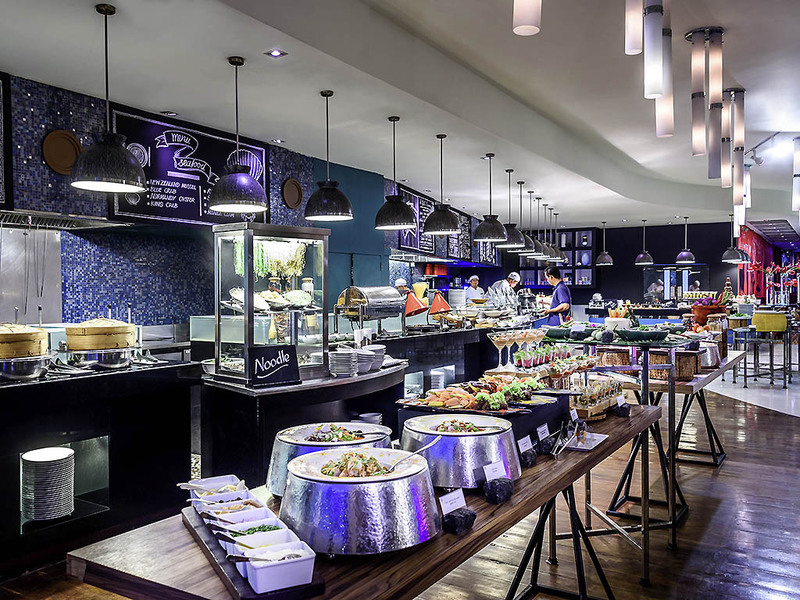 The multiple restaurants on-site have a variety of cuisines while the bar has a variety of alcoholic and non-alcoholic beverages for all kinds of moods. Guests can also make use of the free wi-fi in the rooms or head out to play tennis or mini golf. The hotel can arrange for meetings and seminars on request which is great for business travelers. Large families can use these rooms for private events. Families traveling with kids can make use of the babysitting services on request and take part in activities that they otherwise wouldnt have been able to. 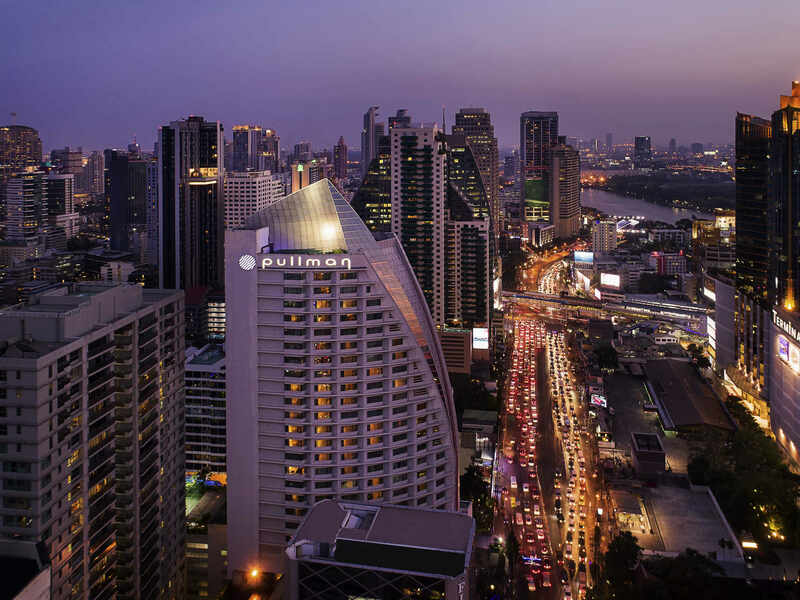 Pullman Bangkok Grande Sukhumvit is located in the heart of Bangkok's Sukhumvit road which is a major entertainment hub with several shops, eateries and a vibrant nightlife. 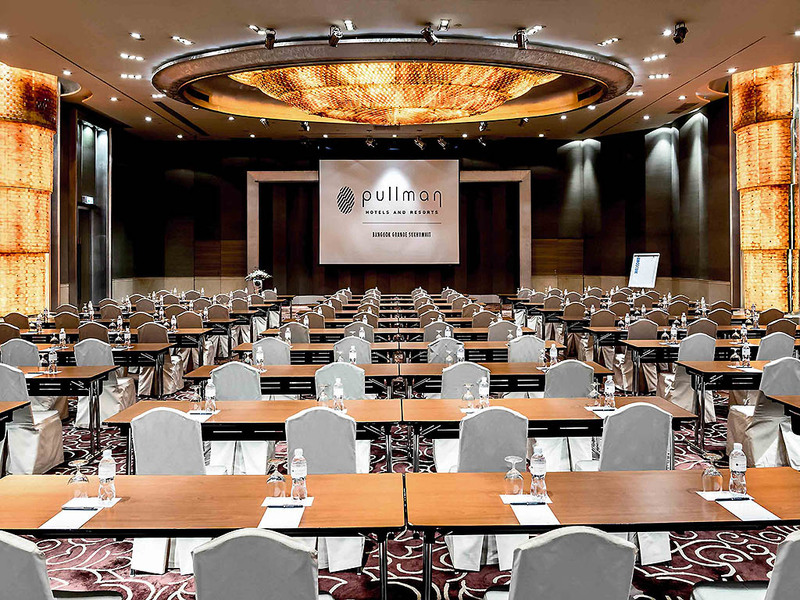 All in all, guests staying at Pullman Bangkok Grande Sukhumvit will surely have an unforgettable experience.